I'm struggling to know how to respond to this media storm that is surrounding Susan Cain's book Quiet: The Power of Introverts in a World that Can't Stop Talking. I am feeling overwhelmed by the attention, so I can't even imagine how Susan is handling it. It's been featured on or in NPR, CNN, Time Magazine (the cover story), the New York Times, Forbes, O Magazine, and about 500 other huge media venues. What are introverts to do when we become the center of attention? As I write this, Quiet is #4 on Amazon. NUMBER FOUR. I was interviewed by the author of the Time Magazine cover story, which was exciting, but I did not make it into the article, which I feel sad about. 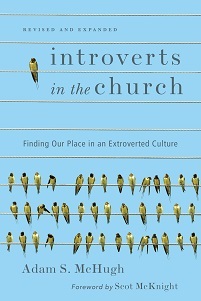 But, it's clear that Introverts in the Church is getting a second wind as a result of Quiet's release and coverage. The subtitle of page 64 in Quiet reads: "Does God Love Introverts? An Evangelical's Dillema." That "introvert with a dilemma" turns out to be me, and for the next 6 pages Susan discusses the time that she and I visited Saddleback Church together, to see what it was like for an introvert. This book is already reaching a wide audience, and I know it will be the beginning of a new conversation about introversion in our outwardly-oriented culture. I also hope it's the beginning of a new conversation about introversion and Christian community. 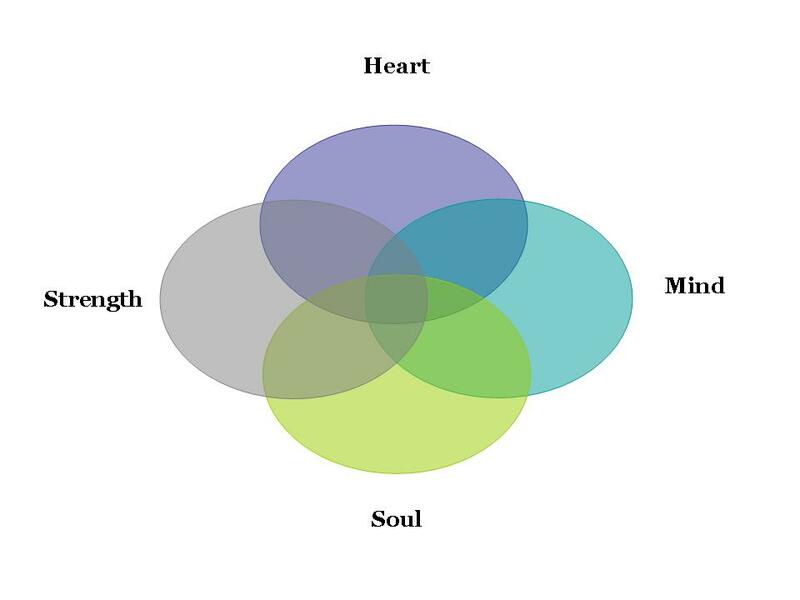 "The evangelical culture ties together faithfulness with extroversion," McHugh explained. "The emphasis is on community, on participating in more and more programs and events, on meeting more and more people. It's a constant tension for many introverts that they're not living that out. And in a religious world, there's more at stake when you feel that tension. It doesn't feel like 'I'm not doing as well as I'd like.' It feels like 'God isn't pleased with me.'" Cain, Quiet, p. 66. You'll have to read pages 64-69 to get the full story of our time there. Suffice it to say that I have great admiration for the mission and community of Saddleback, but that I can feel overwhelmed by the social expectations of church culture. It is also great to read that experience from several years ago and to realize how far I have come. I am so much more confident now - in my God-given temperament, in my leadership, in the gifts I bring to others -than I was then. And that is my prayer for the hundreds of thousands of introverts who will be reading Susan's book. And maybe my book too. I do not think it is presumptuous to say that one of the greatest honors of my life will be happening on February 28th. I have been asked to offer the opening prayer in the House of Representatives, a practice that goes back to the very beginning of this country. If you are interested in the tradition, here is a brochure that the office of the chaplain puts out. I had the honor of interviewing the current House chaplain, Father Patrick Conroy, last summer, and through his help along with the help of my congressman, I have been invited to be a guest chaplain. I'll be live on C-Span at noon EST that day if you want to watch (along with the 6 other people who watch C-Span. Okay, maybe 8 that day, if you include my parents). But for now, I would really like to solicit some input. What would you include in your prayer for Congress, at the start of a day's session? Keep in mind that I'm not giving a speech, directed at Congress, but I'm offering a prayer, directed toward God and overheard by Congress (well, mostly staffers). And let's also avoid partisan rants and attacks. This is not a vanity exercise - I really want help! I'm going to take your thoughts very seriously as I craft my prayer. I'm at the Sundance film festival in Park City, Utah this week, attending the world premier of LUV, a movie my brother-in-law wrote. I've been able to mingle with some fascinatingly creative people, including some big-name actors. I'm a total poseur here, if you hadn't guessed that already. I'm typing this on my phone, so I'll keep it brief. I have talked up Susan Cain's book, Quiet: The Power of Introverts in a World that Can't Stop Talking, quite a bit, and today it finally releases! I absolutely love the book. Its vision is large, as Susan covers the extroverted bias in the corporate world, in education, and even in megachurches. I'll tell you one thing: Hollywood types talk A LOT. Which is why I'm hiding out with a copy of Susan's book this afternoon. About the author: Adele Konyndyk is a freelance writer and INFP based in Hamilton, Ontario. When she’s not at her desk she’s probably eating cheese or browsing a used bookshop. You can follow her on Twitter. I’ve had an introverted personality all my life and loved to write stories since I started putting sentences to paper. I’m an introvert. I’m a writer. And these are aspects of identity that I own up to openly, happily, and even proudly. And I certainly didn’t at first. I learned the word “introvert” while writing a short story for a high school English class on archetypes—universal images, plots, and characters used in literature across the ages—and their root in the gospel story. We read Steinbeck’s Cain-and-Abel-ish novel East of Eden, studied Greek myths and Shakespearean plays. I loved that stories could be both current and classic—that people could be paradoxes of unique elements and universal characteristics. Not that I wore this love loudly. I talked little in class, already sure then I could articulate much better in writing than verbally But, as friends and family knew, it was one of my favourite classes. I was thrilled, also, that our final project could be a creative piece instead of an essay. Somewhere in my story research into psychologist Carl Jung’s archetypes I rustled up his theories on introverted and extroverted personality types. And they stuck. My story’s main character was a by-the-book INFP—opinionated but soft-spoken, intuitive but misread by others, creative but insecure. His name, was an allusion to the prophet who, to me, seemed to me the perfect example of an introverted ‘hero,’ and one scene between him and his mother was even modeled after Jeremiah’s calling. This teenage creation was, of course, a completely unselfconscious literary masterpiece that led me, henceforth, to confidently share my writing with the world. It also caused me to proclaim myself “an introvert!” and glory in the very traits that had made me feel awkward or misunderstood. Back then I couldn’t yet admit an upside to being one who often prefers to listen rather than speak or ponder rather than comment. I was stalled in my own fears and anxieties—my own attitude of “Alas, I do not know how to speak.” And it would be years before I’d admit that writing was more to me than the ability to embroider an assignment for a decent grade, but a gift of vocation. This high school story did show me, however, that writing was a way for me to stay alert to joy. My teacher highlighted metaphors he liked and observations he found vivid. He also—and I think more importantly—pointed out places where he sense play, adding comments such as “you’re having fun, here!” beside inventive turns of phrase. I had to admit that I was having fun, here—and, in the process, somehow also speaking to larger truths about living authentically out of our differences. Over the years, I’ve been blessed to encounter many individuals with this same gracious attitude toward my work—and toward my personality. I’ve had—and continue to have—teachers, mentors, and friends who encourage me to live into and serve out of all elements of my identity. They don’t make me feel odd, for example, on nights I prefer solitude over a visit or one-on-one conversations over chatter in a crowded room. They understand when I want to express thoughts and feelings in writing (are patient, even, with oddly-long emails!). They remind me that I write because I like it. I suppose I could call them the notes in the margins of my life that help keep me alert to joy and affirm my God-given personality. I am continually grateful for those who, in such times, talk me back into the fullness of my identity—not just as an introvert or a writer, but as a child of God. He is the very Father who told Jeremiah to stand up, go, and speak the words he had been given—who assured him, and assures us all, the he will be with us as we testify to the true story we have all been lovingly designed to tell. A common criticism leveled against Christianity is that religion is for the weak. Christians are people who don't have the intellectual and emotional strength to stand up on their own, so they need a crutch. I've heard this accusation answered in a few ways. Some would answer we don't need a crutch, but a stretcher, because not a single member of humankind can actually stand on their own. We are all dying, fragile, broken, sick, and we must all fall on the mercy and life-giving power of God through Christ. Another one I've heard is that being a Christian is more like jumping off a cliff, because the life that Jesus calls us to is far from safe and sheltered. He calls us to a life of adventure and risk and it actually takes a very strong person to jump off a cliff, hoping to be caught by the arms of a loving God. It's a leap of faith, said Soren Kierkegaard. Yet the critics persist and claim that Christianity is for the weak-minded. Over the past few years, I have come to believe that the opposite is true. The scientific mindset focuses on questions of "what" and "how"- what can we observe with our five senses and what chains of causality can we discover to explain how "what" has come to be. If it is not observable with our senses, say those who focus exclusively on the scientific worldview, then it does not exist or at least is not worth speculating about. Those with a spiritual mindset are not content in stopping with those questions, but they want to progress to the "who" and "why" questions. They don't reject the scientific questions and explanations (or at least they shouldn't) but they want more. They want to know why things have come to be, and who, if anyone, is behind the reasons, if they can indeed be discovered. I'm convinced that the scientific questions are the easier ones to answer, whereas the spiritual questions are the harder ones. The scientific questions deal with what can be seen and touched, but the spiritual questions deal with the invisible and the elusive. I would argue that the spiritual questions require a tougher mind. In my on-call shift yesterday I attended the death of a 39-year-old man. He had been perfectly healthy until one year ago, when he started feeling back pain, and two weeks later he was given the diagnosis of untreatable cancer. He went on hospice a few months later. When I arrived at his home, his mother and his 2-year old daughter answered the door. His father, sister, and girlfriend were all sitting at his bedside - shocked, angry, tearful. The scientific mindset could easily answer the how and what of this situation. Normally healthy cells became damaged and cluster, then metastasizing to other parts of the body, eating away at healthy cells and his body's natural defenses, leading to death. The "why" questions are much, much harder. The easy out is to say there is no "why" - life is an arbitrary result of a cosmic accident and so searching for reasons is futile. People live and people die and that's it. To sit with the "why" questions is to sit in mystery and ambiguity. We do not shelter ourselves from grief and heartbreak, but we enter into it. We do not know where it will take us but we know life and death must not be dismissed as a mere accident. It takes real strength to acknowledge emotion, to cry out in pain and despair, and to search for hope when surrounded by hopelessness. One of the marks of emotional maturity is the ability to hold things in tension, to move away from a black-and-white mindset and to acknowledge ambiguity. The why questions take us right into the heart of ambiguity. The why questions are for strong people. The why questions are not often answered specifically, I've found, but if we sit with the whys long enough, we may find ourselves entering into the mystery of one who bears the marks of death on his hands and feet. I'm a day late to the Martin Luther King Jr. party, but it's a raging party that is still going strong. I'm a huge admirer of Dr. King. As I was reflecting on him and his impact yesterday, I realized that a theme in his life intersects with a point I am making in my listening book. To elaborate on this theme, I will quote from page 59 of an MLK biography called Bearing the Cross, by David Garrow. On January 27, 1955, King had just come out of a temporary stay in the Montgomery, Alabama prison. Later that night he received a threatening phone call, one of hundreds he had received, but this one got to him. The caller vowed that if he and his family were not out of town in three days, he was going to shoot him and blow up his house. In despair Dr. King considered giving up his work. It is a remarkable story, and the night that Dr. King called the most important night of his life. What I want to draw attention to is the fact that this profound encounter with God that he had actually did nothing to change his circumstances, yet changed everything. The more I talk with people, and reflect on my own experiences, the more I discover this theme in the way God works. Yes, God provides guidance and specific direction, but more often the indwelling Voice does a work on our fears, our doubts, and our perspectives. He removes the veil on our hearts and shows us that he is near, he is powerful, and he is merciful, and so often that is all we need to know. We are still weak and fragile, and have no more control than we did prior to his revelation, yet somehow that doesn't seem to matter anymore. Our eyes have seen the glory of the Lord and it doesn't matter whether we make it to the Promised Land. What's your experience with the inner voice that strengthened Dr. King that night? Is creativity fostered best in a group or alone? Companies, schools, and churches have been practicing group brainstorming for decades, as well as steadily increasing public space and decreasing private space in their architectural designs. But there’s a problem with this view. Research strongly suggests that people are more creative when they enjoy privacy and freedom from interruption. And the most spectacularly creative people in many fields are often introverted, according to studies by the psychologists Mihaly Csikszentmihalyi and Gregory Feist. They’re extroverted enough to exchange and advance ideas, but see themselves as independent and individualistic. They’re not joiners by nature. I highly, highly recommend the whole article, called "The Rise of the New Groupthink," to you, and if you read far enough, you'll find a quote from some guy who wrote a book called Introverts in the Church. What is your experience? Do you find that group interaction and conversation sparks creativity or kills it? About the author: Julie Andreen is a mother, wife, professional freelance writer and recovering semi-professional monk who is learning to serve rather than be served. She lives in Phoenix. When I was young and single I made a hobby out of traveling to foreign countries at the drop of a hat – alone. When I was 25, I flew to the French Polynesian island of Bora Bora for a week’s vacation. My only companions on the near-deserted white sand beach were some grapes, a loaf of brioche and a stack of magazines. If there were any discos or nightclubs, I wasn’t aware of their existence. I ate alone, I traveled alone and I went snorkeling alone. And I loved every moment of it. So it won’t shock anyone when I say that I’m a dyed-in-the-wool, confirmed, no-doubt-about-it, introvert. But here’s the kicker: I also have the spiritual gift of hospitality – the one that revolves around making friends and strangers feel comfortable, connected and safe. The one that people like Rahab – who welcomed spies into her home at the risk of her own skin – are lauded for. Since it’s unlikely that I’ll ever be in a situation like Rahab’s, what does the 21st century version of hospitality look like, particularly for introverts like myself? It’s less about hiding spies on a roof and more about being willing to answer the knock of a lonely or distraught friend at 5:30 p.m., when there are crumbs strewn about on the floor, the dog is whining to be let out, a pot is overflowing on the stove and the baby is crying. Romans 12:13 includes no “introvert clause” when it commands us to be ready to help God’s people when they are in need, and to be eager to practice hospitality. If there was ever any question in mind about whether I had this particular spiritual gift, it was when I realized that for me, having people “drop by” unannounced is a joy, not an annoyance. I felt happy, rather than indignant, when guests would go rifling through my kitchen drawers in search of a utensil. I was actually disappointed when I realized that my husband didn’t want to “babied” when he was sick. It may seem incongruous that a person with my monk-like tendencies could also possess a God-given talent that revolves around – gasp – people. But introverts are engineered for hospitality. 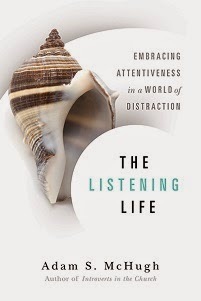 We want to listen to others, and have them listen – really listen – to us, without distraction or meaningless chit-chat. We want the deep, real, authentic stuff. Those things, by and large, tend to emerge within a home, where people feel safe to share their lives. Having people in my home means that I have the floor (pun intended). I can focus on you, and you alone. Warts and all. Practicing hospitality also helps me express feelings that I would otherwise never manage to squeak out with actual words. In spite of the fact that I’m a writer, telling people that I care about them anywhere but on paper or via a Facebook page doesn’t exactly come easily. In fact, it’s almost a form of torture. Making someone a meal or letting them hang out and tell me their problems conveys those feelings in a way that I couldn’t otherwise express, or at least it helps grease the “I love you, you love me” wheels just a little bit. But as the old cliché goes, the gift of hospitality is both a blessing and a curse, at least for an introvert. A blessing, because I tend to have fewer, yet deeper relationships, but also a curse, because as a sinful human being, I know that my reluctance to move outside the comfortable confines of my home means that I am severely limiting the work of God in my life and others – a sin. To truly serve God, I have to be ready and willing to step out of my ‘comfort zone’ once in a while, serving others where they are, instead of where I want to be. With that in mind, I’m off to whip up some dinner. Feel free to drop by. And bring a friend. No RSVP necessary. Like most of the American population, I write New Years Resolutions every year, but unlike most of the American population, I am pretty good at keeping them. My secret is that I make them manageable - instead of say, resolving to lose 50 pounds, I resolve to take several long walks a week and walk 18 holes of golf at least twice a month. These are natural exercises for me. I enjoy them and look forward to them. Commitment to certain pattern of living that helps reinforce habits in the long term. Saint Benedict created the most famous, and archetypal, rule for the communities he led in the 5th century He wrote up a thorough, and surprisingly detailed, plan for the monks who lived together in community, which has been called The Rule of St. Benedict. The word "rule" means norm or baseline, and thus his rule became the standard for behavior and practice in his monastic communities. The way I defined rule of life last summer was this: A rule of life is a way of arranging the rhythms of your life - all aspects of your life - so that you can best embrace God's gifts. I then said "out of all the historical definitions of a rule of life, mine is the best." No one laughed. Shaking that off, I helped people break down their rules according to the categories Jesus gave us in the great commandment: "You shall love the Lord your God with all your heart, mind, soul and strength." So, even though we're a few days into 2012 let me propose that you make a New Years Rule of Life instead of New Years Resolutions. This will be particularly helpful for those of you who have already broken all of your resolutions. A rule of life is as personal as resolutions, but more changeable and more manageable. If you are failing regularly at your rule of life, then you have a bad rule of life and you'll need to revise it. The disciplines you include should be natural and desirable - they can and should stretch you some, but not to the point that you likely won't keep them. Always have a fiction or biography book going, not only theology or history. Cultivate friendships with the following people.....x, y, and z. These are a few of the disciplines I am incorporating into my rule of life. If it turns out that they are oppressive or impossible to keep, then I will change the rule of life. It is good to start with disciplines that come easy to you and then maybe include in each category one that will stretch you a bit more. It is not meant to be legalistic or guilt-inducing. You must be ruthlessly honest with yourself about your own life situation, abilities, time, etc. If you are a single mom, your rule of life will be very different than a retired man with the kids out of the home. What do you think about a New Years Rule of Life? What disciplines or attitudes would you like to incorporate into your 2012 pattern? Happy new year everyone. I'm slowly easing into 2012 today, even though it's already the 3rd of January. I blame the television producers who put bowl games on the 2nd. Truth be told, 2011 wasn't my favorite year, so I'm looking for 2012 to come on strong. I'll write a full post in the next couple of days, but for now I want to share an article that was on the New York Times website this holiday weekend. I think the title alone will be enough for many of you, but if you want to read the whole article I highly, highly recommend it. The Joy of Quiet - New York Times, December 29, 2011. Oh, and also my friend Susan Cain's book Quiet: The Power of Introverts in a World that Can't Stop Talking is finally coming out in about three weeks, but oh, it's already in the top 1000 on Amazon! I endorsed the book and I'm also in the book, which is fun. It's going to be huge and it deserves all the kudos it receives.